At St Paul’s we love our beautiful church and the diversity of people who make up our church community. We are a family of Christians united in our worship of Jesus Christ and in serving our parish and beyond in His name. We are an all-inclusive church, warmly welcoming everyone to prayer and to enjoy the fellowship within; if you would like to join us you will be made extremely welcome, every person is important to us. There are many facets of our church life. 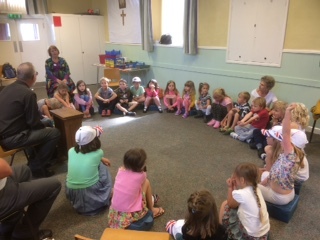 Of course, running through its yearly activities is a core of Sunday services that reflects the Christian calendar, but it is very much a broad church embracing a host of events involving parishioners of all ages, from the young to churchgoers who have been worshipping here for many decades. Come and join in some of the activities that are described here. Friends of St Paul’s gather in the church hall each week for coffee, tea and biscuits. It’s an occasion to grow friendships and have a relaxing chat. 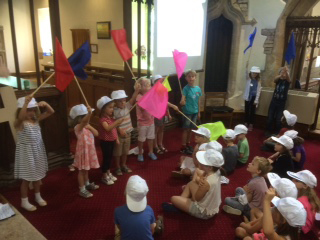 For a week each August, the church and hall are transformed into an activities’ centre for five-to-10 year olds. Lasting from 9.30 to 12 noon each day, it’s an opportunity for youngsters to make new friends and expand their creative skills, with exciting worship, games, stories, food and fun. For details of how your young people can take part, contact Mike Tedstone, tel. 01934 414366. Climb the Tower! It is the ambition of many. 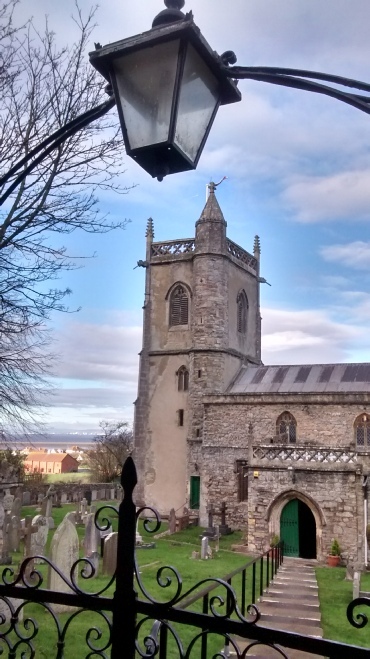 Our church tower provides magnificent views across the bay and channel to Cardiff and the Welsh mountains in one direction and to Woodspring Priory and Clevedon in another. And you can view the church bells on the way up. If you live in Sand Bay or Kewstoke, try and spot your home! Each year scores attend this special day when guided tours of the church are also included. Round off your visit with tea and cakes in the church hall. An annual opportunity not to be missed. See the What’s On page for this year’s date. 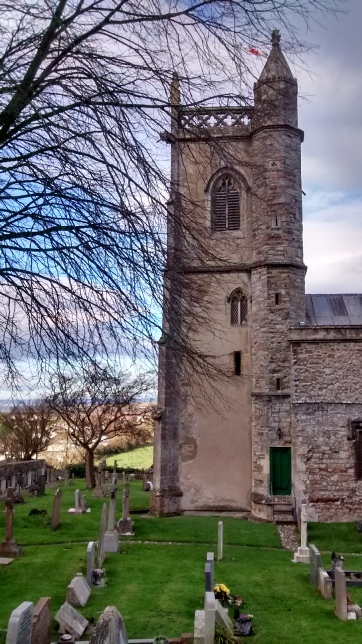 Sixty-six steps take visitors to the top of the church tower, where views can be glimpsed across the water to Wales. 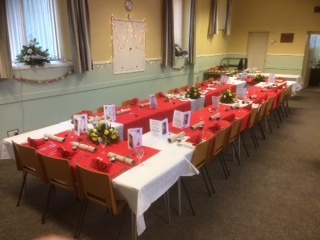 The church hall laid out for a lunch party. 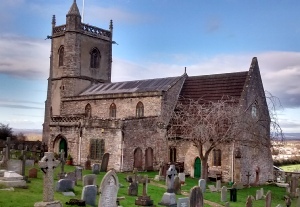 You are the only church we have found with open doors in Somerset. Bless you! – Visitor, Birmingham. A very special place; my inspiration, my love, my peace. God bless everyone who enters – Visitor, East Brent. What a lovely, clean and tidy church. The children’s corner is beautifully set up – Visitor. 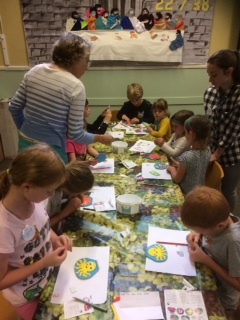 Above, right and below; children take part in creative work during sessions of the Holiday Club. We take safeguarding of children and vulnerable adults seriously. Please click here to go to the Diocese of Bath and Wells’ Safeguarding page.The current diocesan Saferguarding Policy gives full details of how safeguarding is implemented in the church. Raising funds to support the church continues throughout the year and our Beetle drive is one popular event which generates fun a-plenty for the teams of players and income for St Paul’s. On another occasion, our very professional and amusing auctioneer introduces a different atmosphere at the hall when items from far and wide flood the room and bidders join the fun eager to bag a bargain. Keep an eye on our What’s On page for the dates. Our church hall is available for hire and is a great venue for parties, meetings, music and other activities. For details contact the Booking Secretary on the Contact Us page. 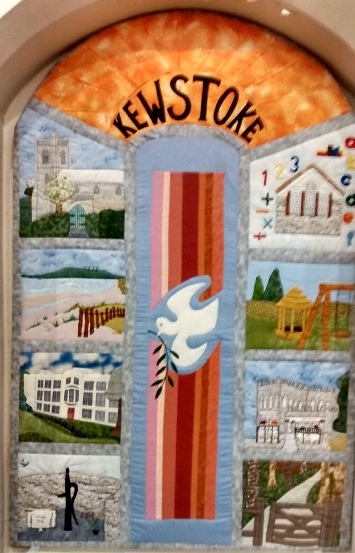 Right Images of Kewstoke scenes were created and handcrafted into this woven mural by St Paul’s ladies to mark the Millennium. It can be seen on the north wall of the nave. Each year a Craft Fair organised by St Paul’s at the Village Hall in aid of church funds draws visitors from near and far. A range of stalls offers hard-to-resist wares from fancy goods, plants, jewellery, household and garden ornaments to delicious home-baked cakes, pictures, paintings and prize competitions. For information on other church activities, please go to our Outreach page.